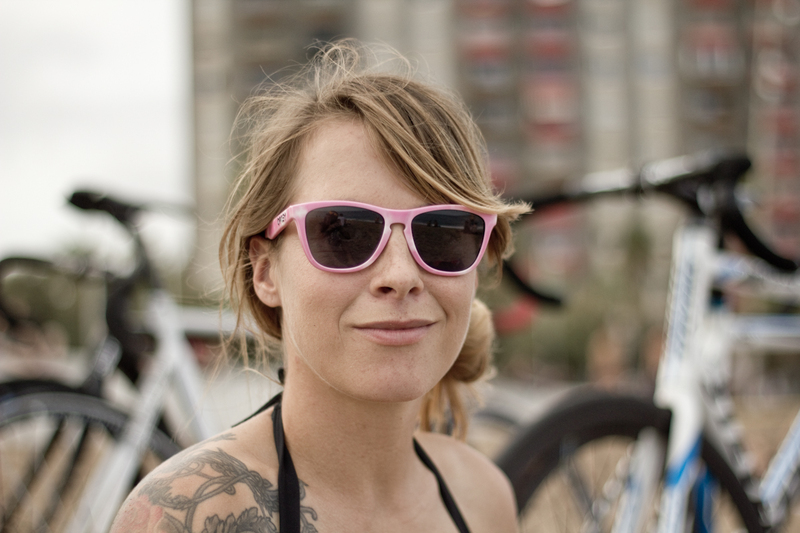 After several days enjoying late nights on the town and sunbathing, the day before the Red Hook Crit Barcelona I remembered that I was actually in town to do a race, rather than just drink beer and lounge on the beach. Well, it wasn’t like I’d forgotten, I just hadn’t really been thinking about it much so my race prep was pretty much non-existent, in fact you could say I’d done the absolute reverse of preparing by not getting much sleep, rest or healthy food! The day of the race we cooked what has become our standard race meal – spinach and ricotta tortellini with pesto and chopped olives and raw tomatoes on top – and packed all the bits and pieces one needs for a race; my favourite Science In Sport gels, Nuun Electrolight tablets, Clif Bars, my Garmin Edge 1000 and a heart rate monitor. I was looking forward to wearing my usual race outfit – Assos Chronosuit, Oakley Frogskins, Met Stradivarius helmet and had a brand spanking new pair of Giro Espada shoes. 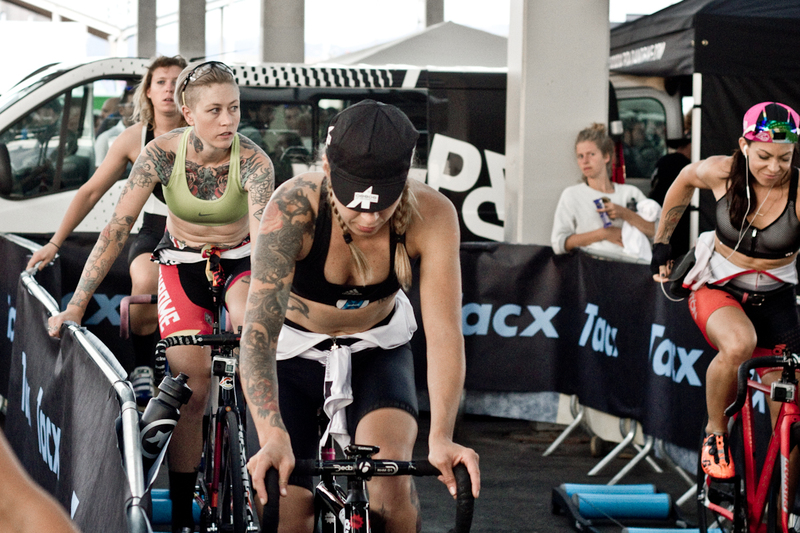 Luckily, Taxc were providing rollers for the riders to warm up on so we hadn’t needed to travel with those. I added a blanket to my hefty kit bag so that we could create our own little hangout space then we headed down to Park Del Forum to get set up. 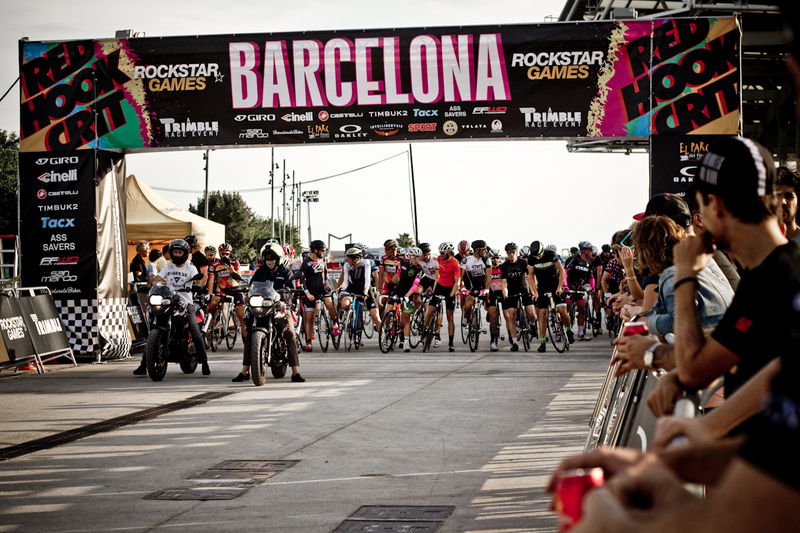 The location of the Red Hook Crit Barcelona is superb – right next to the sea and just along from the famous curved walls that you may recognize from numerous BMX videos and we were very excited to be there. We were very lucky with the weather too, it was warm and sunny but not mega hot, and crucially after a damp week that had made us nervous of a rainy race, it was dry. The course looked extremely fast rather than technical, with some long open sections that I knew wouldn’t suit me as well as a tighter, trickier track might. There was one full on hairpin turn, but other than that there wasn’t a great deal that would slow you down so I knew it was going to be tougher than the London race. 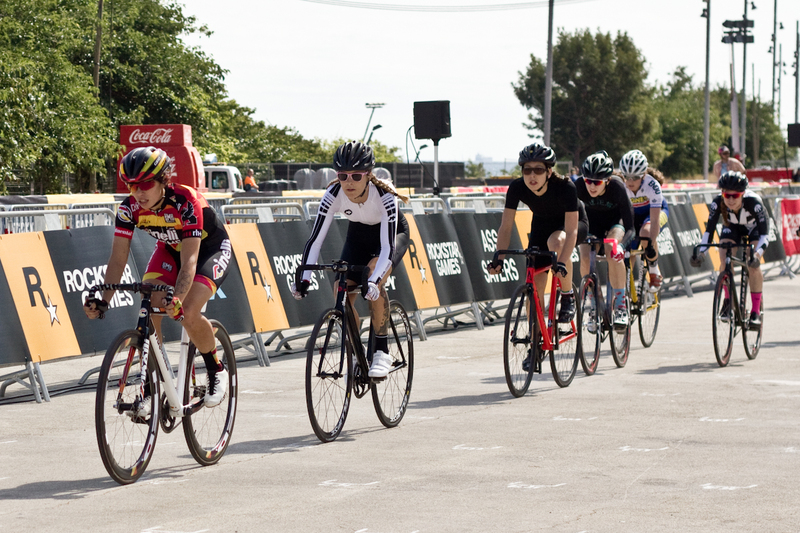 Lining up at the start of the qualifications, for some reason I felt quite nervous, which was odd because I hadn’t felt intimidated at all at my first Red Hook Crit in London in July. Maybe it was because I wanted to deliver a good performance, whereas in London I had no expectations of myself? Either way, I looked down at my Garmin and could see that my heart was racing before we’d even begun. 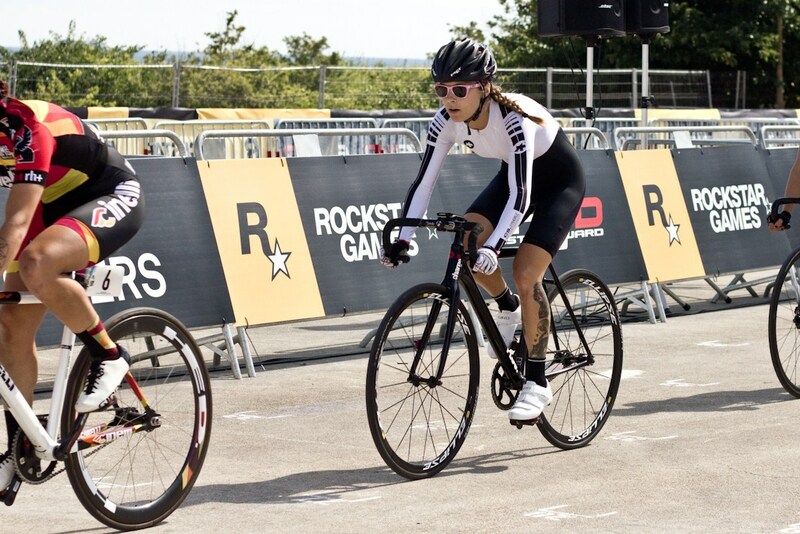 After a large number of crashes in the qualifiers in London, the organiser David Trimble had changed the format of the qualifications so that you had fifteen minutes to ride around and learn the course, then ten minutes in which to set you fastest lap (I think?). I was unsure whether the new format would actually make things worse with more riders trying to squeeze their hot lap into a shorter time, but it turned out to make total sense I think. In the end I qualified 17th from a field of 44 then we had a few hours to enjoy the sunshine. When it was time for the race, we gathered at the start ready for our ceremonial lap with David Trimble before riding a loop of the course to the cheers of the crowd. Back at the start line, we were called to our grid positions by name, which made me feel like a bit of a gladiator, then the countdown began and once everyone had clipped in it was game on. The race was super fast right off the bat, with the fastest ladies pushing hard to get away so I dug deep to stay as close to the front as I could and managed to stay in the lead group for quite a while. The pace was way faster than in London, and as I suspected, the long, open stretches of course were tiring and I looked forward to the techy bits as it gave my legs and lungs a small rest. There was some aggressive manouevers going on, with two people in succession bullying their way through my line on a corner and forcing me to go wide to avoid them – basically if I’d have held my line they would have crashed, so what you gonna do, eh? Unfortunately that made me fall back a bit and I got super tired dangling out on my own behind the lead group whilst trying to close the gap. I could hear someone behind me (Kelli Samuelson I think?) giving me a verbal boost and encouraging me to keep pushing, and it really helped, so thanks Kelli if that was you. After we’d ridden about half the race, there was an accident that resulted in the race being stopped so we all had to regroup at the start to begin again and finish the remaining laps. It turned out that the person who’d crashed was Fleur Faure, and as she wanted to rejoin the race we all stood and waited for her to come up to the front of the pack so we could go again. At the risk of sounding unpopular, I thought it was a very odd decision to do that – generally if you crash in a race, you either need to withdraw or try and catch up, so stopping the race was peculiar and not particularly fair. It was no time before we were off again, and before I knew it my lungs and legs were heartily complaining once again – it felt sooooo much harder than the race in London. Looking at my Strava data, I can see that I was in Heart Rate Zone 5 for longer than I was in London, though because my Garmin didn’t pause whilst we waited for the race to restart, it’s hard to accurately compare the data. 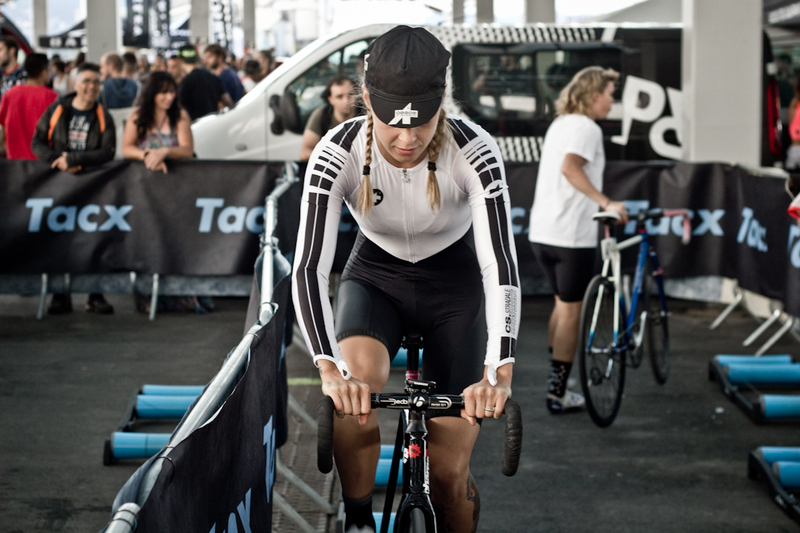 As I was getting tired, I decided my best tactic was to try and move up a few places on the bits I was best at riding – the corners, which was in contrast to most people’s tactics of sprinting round you on the straights. I managed to move up a place each time I went around the hairpin turn, so in the end I finished 20th, which isn’t as high as I’d have liked, but I know that I tried as hard as I damn could so I’m in no doubt I could have done any better! So has the training I’ve done been worth it? Well at time of Red Hook Crit Barcelona, I had just ten weeks of training under my belt, so I suppose taking that into account, I did ok. What I’m struggling with now that the initial euphoria of taking on this challenge has begun to wain and the results of my training are becoming less noticeable, is the fact I’ve spent most of my summer focusing on this aspect of my cycling when there are many other kinds of riding that I’d like to be doing. 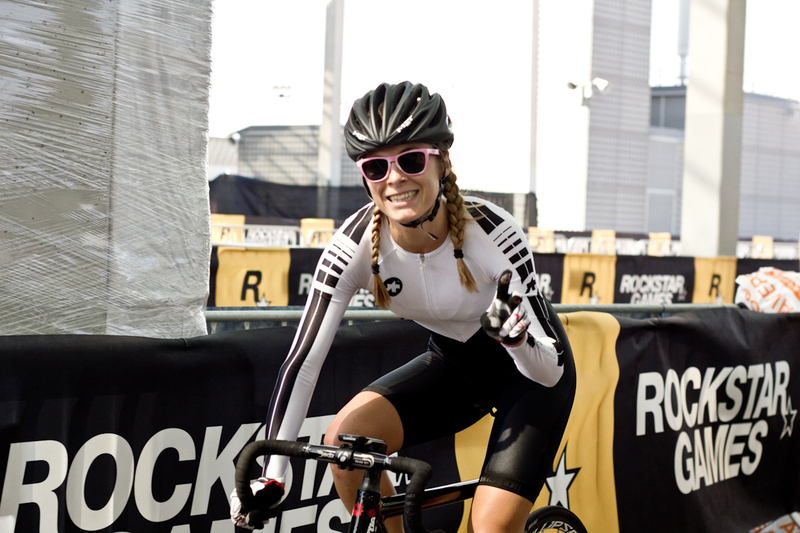 So is it worth not riding my mountain bike or BMX as much as I want to, just to do kind of OK in the Red Hook Crit? I’m not sure, so I think I’m going to do another one! Nice write up! Very inspiring even from a male standpoint ha keep on crushing it J!